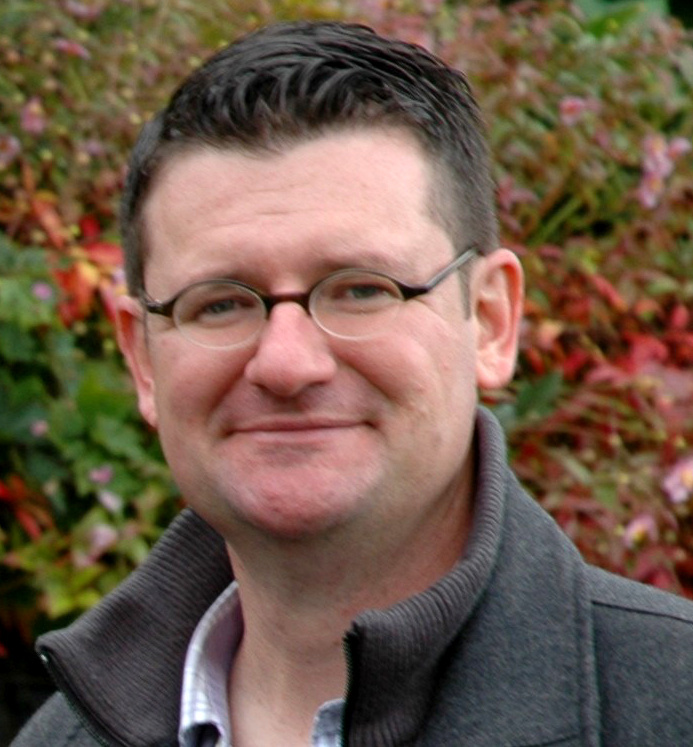 This week we are excited to share out conversation with local landscape designer, Ben Bowen of Ross NW Watergardens. Ben is a third generation landscaper and part of a family-owned business. 1. How do you consider the architecture of a home when you are designing a landscape? It really depends on the client. Some people want a landscape very true to the style of their home; if they have a craftsman, then they want something classic. While other people may not care at all. They may have a very traditional home but they want a modern design for their yard that may not necessarily fit the style of the house. Sometimes the fit between the landscaping design and the house is seamless; other times you get a little more creative to make the styles work together in a way to make visual sense. If you do that well, it seems like you can make almost any style you want work. Whether the styles merge easily or not, there's usually things about the house that you're trying to accentuate or hide. 2. Can you give an example of what techniques you use to accentuate or hide parts of a house? Sure; ranch style homes can have nice windows but will also have some long expanses of just bare wall. It's a great backdrop for some plantings, so picking where you put those involves some strategy. A lot of the newer homes that infill homes are too tall for some of the lots they are on. It can feel like they are looming over you as you approach the house when you have a two-story house eight feet from the sidewalk on a 4000 square-foot lot, the proportions can seem off. You can help soften that transition by utilizing tall, narrow plants. It goes the other direction too. Plants can also be a wonderful way to edit what you can see looking out from your house. Tall plants can be great for neighbors because they give a lot of privacy. Bamboo is usually the answer. 3. How do you balance a client’s lifestyle with their landscape ambitions? As far as maintenance goes I try to get a good sense of how much time they spend in their yard, including how much they want to be leisure versus working in the yard. Knowing their lifestyle helps to figure out what is the most sustainable design for the customer. When clients are planning to pay for someone else to maintain the yard, I design whatever they want and don’t weigh the two factors [leisure vs maintenance]. If they are going to do the maintenance themselves, then there are a lot of compromises that need to be made between beauty and labor. I find most people want to spend their Saturdays enjoying their landscape, not working in it. It helps that most people are realistic about how much work they will put into their garden, which really guides all those complex decisions. 4. 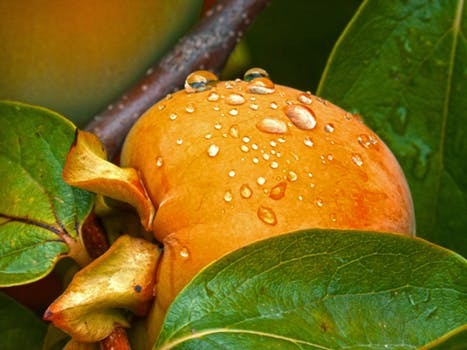 Do you use edible plants in landscapes? There is a lot of interest in edible plants in landscaping. I get asked this question often. There are lots of ways to work edibles into the landscape and I always try to do it in a way that works with everything else that we have chosen. I love to use blueberries because the shrub itself, even without the fruit, is very attractive. We plant quite a bit of persimmon; it's a beautiful tree and even if you don’t use the persimmons, they look so cool in the fall. In the fall, the fruit stays after you lose the leaves so it looks like a bunch of miniature pumpkins. If you were so inclined you could plant it just for that reason. 5. How do you balance budgets and requests? I try to balance the budget, climate, and style. For a lot of people, the budget is the most important. Depending on exactly how important budget is, I can make decisions about how to balance everything else. I feel like over time I have become good at reading people’s priorities. As we adjust the plan, I work with them to find their priorities and educate them about the costs and benefits of the different directions we could go with the design. It’s a very collaborative process and it is really rewarding to see the final product and hear client feedback about how they enjoy their outdoor space. Bonus Question 1: The climate in Portland has been more extreme lately. How has that influenced your designs? There have always been some plants that have been borderline evergreen for Portland but if we have more winters like this last one, they'll no longer be evergreen options. Hebe is an example of that; it’s a very popular plant that used to be considered an evergreen in Portland. I now must be more careful with what goes dormant during really cold winters. Hot summers just mean more water and more work, which is ok. It’s much more disappointing to have spring come around and think that your plants are dead - but they aren't. Bonus Question 2: Are you seeing any changes in your client's requests recently? Portland is experiencing a lot of growth which is leading to some shifts in the demographics. People are moving from Seattle and San Francisco and bringing requests for modern homes and modern landscapes to go with them. These designs are really low-maintenance and attractive with clean lines, plantings that are function first, and a lot of hardscapes. As they get more popular I expect to see the effect snowball and we will get even more requests for these types of projects. Bonus Question 3: What are your favorite Portland neighborhoods to look at landscaping? Portland is a city where people really enjoy the outdoors and use their yards. All over Portland, there are more specific homes, not areas, I’ve noticed and really like. I enjoy the mid-century modern style and the landscaping that goes along with it. I think it can be distinctive and interesting. There are some great neighborhoods in Southwest Portland for those styles. It’s amazing how one person’s landscaping can influence and inspire the landscaping for the homes around it. 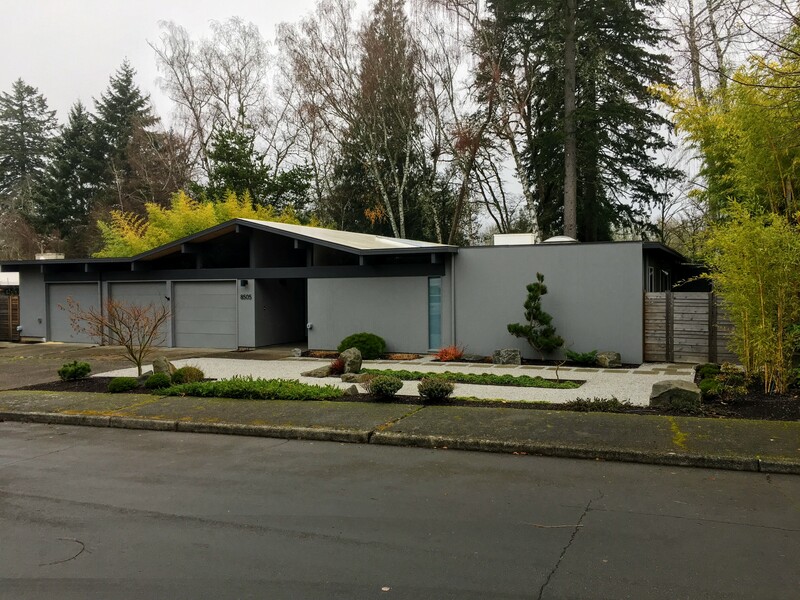 There’s a six-block stretch of homes on North Flavel Drive where people have taken their landscapes and done interesting things with them, and they coordinate as a neighborhood. I don’t know how these things catch on but it is cool to see and I could imagine it spreading. 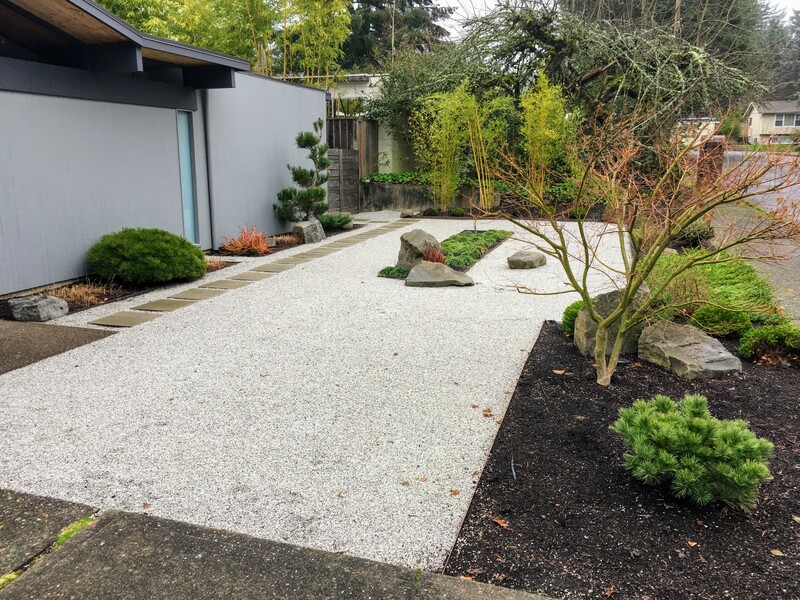 If you find yourself in need of some expert landscaping design or if you are looking for some inspiration be sure to check out Ross NW Watergardens on Facebook, Twitter, Pinterest, Google+, Houzz, and their Website!